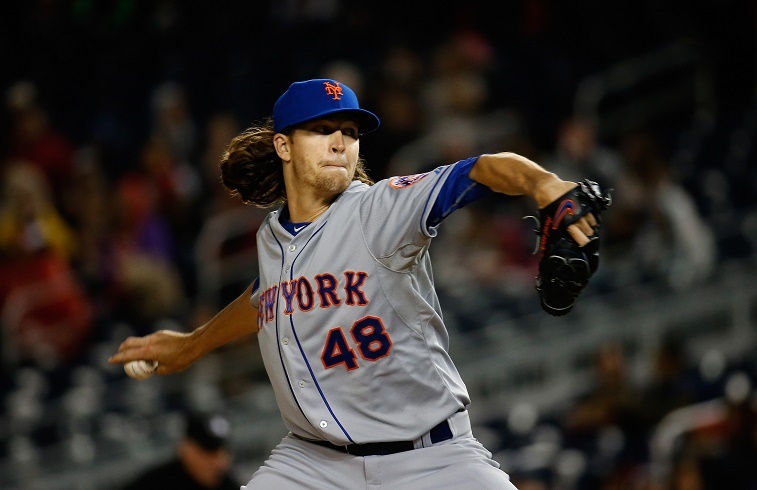 New York Mets: Best of MLB or Bully of a Weak NL East? It’s hard not being excited about the New York Mets. They have a pudgy, affable No. 1 starter who is 41 years old; several homegrown pitching phenoms, including the Dark Knight himself; a productive, balanced lineup devoid of egos; and one of the game’s most exciting center fielders patrolling spacious Citi Field. With a win that made the Mets 12-3, their 10th consecutive victory, they also owned the best record in Major League Baseball on April 23. Yet before we are sold on the Mets of 2015, we present a word of caution on a team that has done its work in a weak NL East with individual performances that will likely regress back to the mean. Every team knows you are never as good as your best winning streak (or as bad as your worst losing streak), but let’s take a look at how the Mets have won 10 in a row and 12 of their first 15 games of the season. Immediately we see they won every game against NL East teams, which currently features some of the more underachieving of the early season (Miami, Washington) and two of the worst in baseball (Atlanta, Philadelphia). New York has done it with pitching (second in the MLB with a 2.80 ERA) and timely hitting (20th in batting average, tied for 10th in runs scored). Quite simply, seven of the 10 consecutive wins came against Miami and Philadelphia, two of the statistically worst teams in baseball. As for the two wins against the Nationals, the Opening Day triumph over Max Scherzer featured an error-filled performance by the Nats defense. 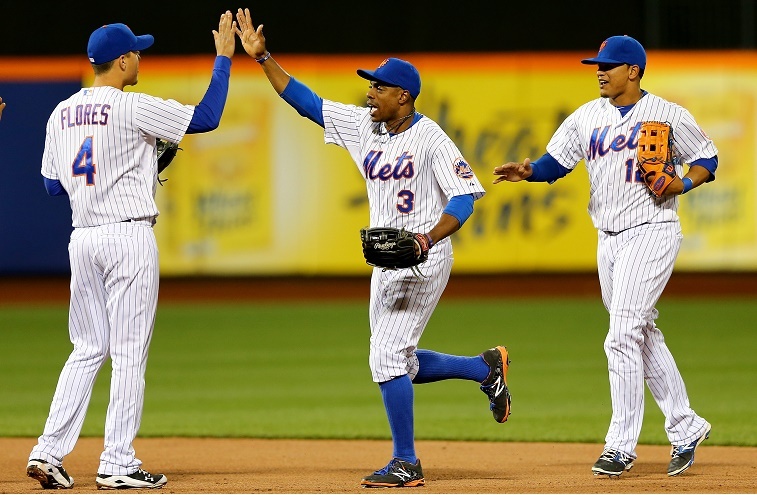 Though 15 games, the Mets haven’t faced much in the way of competition. Elsewhere, Juan Lagares has continued showing the Gold Glove form in center, while Lucas Duda has picked up where he left off his promising 2014 season. Even Wilmer Flores (.283, 3 HR, 3 2B, 7 RBIs) has been locked in at the plate. Losing David Wright and Travis d’Arnaud (in the midst of a breakout campaign) has not slowed the Mets’ charge in the slightest. In the rotation, Bartolo Colon (3-0, 2.25 ERA) has been spectacular, while Jacob deGrom (2-1, 0.93 ERA) and Matt Harvey (3-0, 3.50 ERA) have lived up to every bit of the hype. And Jeurys Familia has stepped into the closer role to save a perfect 7-7 with a 2.08 ERA. Amazing, indeed. We don’t know when the first rough patch will come for the Mets — this being baseball, we only know it will. The rotation should continue to be the strongest element of the team, and with offensive numbers down across the game, pitching can keep the Mets in contention. However, we wager Colon’s ERA will venture closer to his 2014 figure (4.09) and career mark (3.94) than his current mark (2.25) by late summer. He turns 42 in May. Around the diamond, the injuries to Wright and d’Arnaud will sting more than have in the past few games, as will the loss of the team’s offensive production. Familia will have to keep his walk totals down to avoid any flameouts in the ninth inning (in 2014, he averaged one walk every 2.1 IP). But more than anything, the competition is going to improve, starting with this weekend’s series against the Yankees, one of two quality teams the Mets will have played in 2015. In the team’s next 30 games, it will face Baltimore, an improving Washington, play four games against the Cubs, and then another four versus St. Louis. This Mets team is an exciting club on nearly every front, with so many young players and likeable veterans (save Daniel Murphy) in the mix. By the time they play St. Louis in the third week of May, we should know whether the kids from Flushing are the new force in Major League Baseball or just a bully of the NL East’s basement. For now, they look more like the former, but it’s nothing a sweep of the Yankees couldn’t cure.